More and more people are discovering electric scooters are not only tons of fun they are one of the most economical means of transportation. Whether commuting to work,running errands or just riding for the joy of it they can be an awesome choice. The scooters that have pedals more aptly named scooter/bikes don't require a license, registration,or insurance so they are really hassle free. Local laws may differ and some limit the motor size to 750 watts and a max speed of 20 mph so you need to check them first. 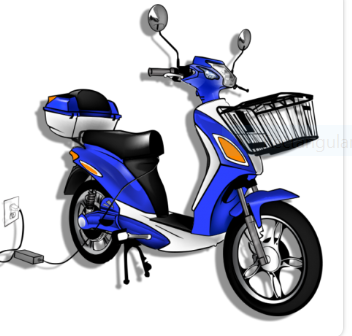 The batteries are removable on most so you can charge them on the scooter or anywhere there is an electric outlet. Lead acid batteries are the old standby but lithium batteries are much smaller, lighter, and generally give better performance but they are often a cost adder. Charging times vary but are typically 6 to 8 hours. The saddles are more comfortable as is the riding position when compared to a bicycle but you probably wouldn't get one for exercise. Scooter /bikes as shown here do have pedals but they are primarily a back-up for the battery. 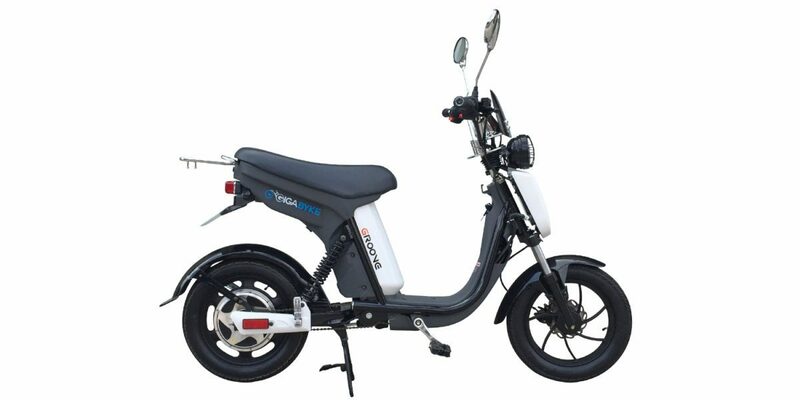 A Gigabyke electric scooter may be exactly what you are looking for. It is not just practical transportation but a FUN ride with all of the bells and whistles that you could ask for. Whether riding for pleasure or running errands you can do it in style and safety. There are few if any restrictions on where you can ride. And, since it is classified as a bicycle you don't even need a license, registration, or insurance. Go here for complete specs. American Electric Superfly not only has included all of the features you could want on the standard scooter it has tons of options to customize it to your liking. The battery is removable so you can charge it on or off or the scooter with the included trickle charger that is designed to turn off automatically when the battery is fully charged. Another unique feature of the Superfly Electric Scooter is the ability to easily remove the motor so if you have to replace a tire there is no problem.